You may still be able to book by calling the hotel at 415-771-1400. This hotel is the mack daddy of San Francisco, enjoying its status as one of the largest -- if not the largest -- hotels in the city. 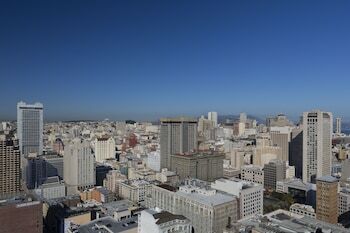 From a 46-floor tower, you can only imagine the spectacular views of the bay. Acrophobes, fear not: with over 1900 rooms, you're sure to find a room on a lower floor to soothe your palpitating heart. Still feeling anxious? Calm your nerves at the full-service spa, or work out your anxiety in the 2800 sq. 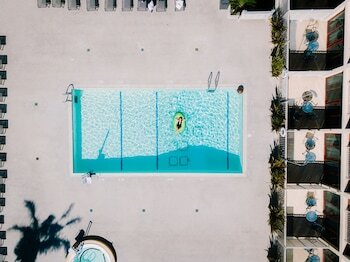 ft health club. Business travelers will find the business center (fully-serviced by FedEx Kinko) particularly handy, while all travelers will surely appreciate the multi-lingual staff, a Starbucks in the lobby and much more. 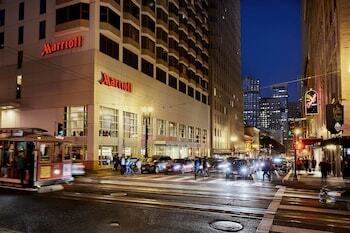 Hilton San Francisco Union Square is a 4-star hotel located at 333 O'Farrell St., San Francisco, CA 94102, US . Its nightly price usually falls between $116.8 per night and $2140 per night, excluding tax, depending on room category. 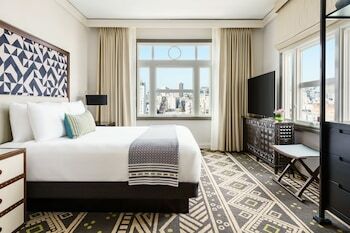 $117 per night found for a 2 Double Beds - No-Refunds room type. Hilton San Francisco Union Square sells rooms through sites like Room 77, Expedia, Hotels.com, GetARoom, and many others. Room 77 searches across dozens of different sites to find the lowest discount rates available. The lowest rate we've seen over the last few weeks was found on Room 77. In 1% of the cases we surveyed, all sites offered the same rate. You can compare real-time rates from all of these sites on Room 77. Room 77 is the only hotel shopping site that includes special discounts like AAA, senior, government, military, and corporate rates.